For the love of fungi, western Massachusetts artist Madge Evers grows her own…ink. Yes, she makes prints by using the spores that fall out of the gills of the mushrooms that she grows. My art work begins, as so many things do, in the garden. I make images using the millions of tiny spores that fall from the gills of mushrooms that I grow in piles of wood chips. The microscopic spores contained in one mushroom are the seeds of future generations. 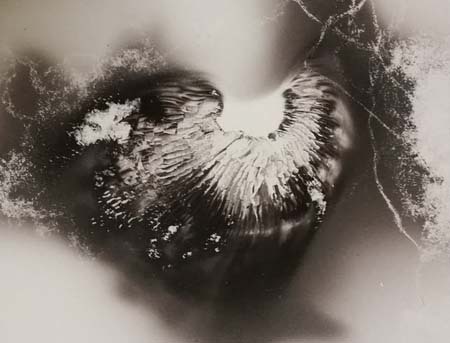 Traditionally, the purpose of a mushroom spore print is the scientific identification of a fungus. 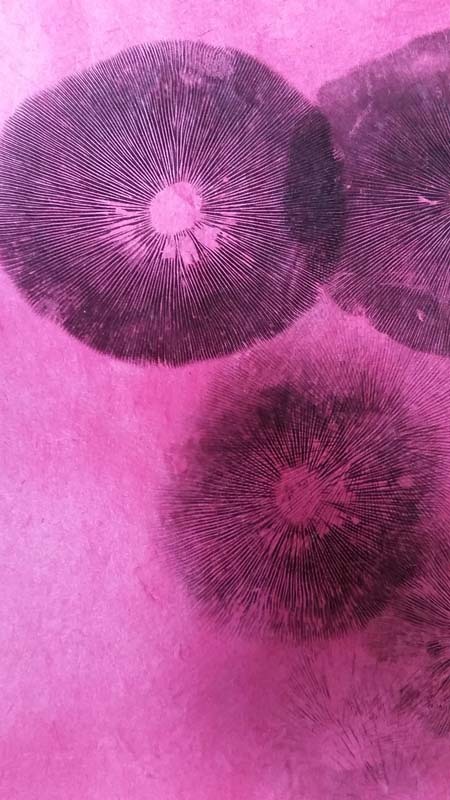 I make spore prints for the beautiful and mystical stories they tell. My adventures in spore printing began in the spring of 2015 when I cultivated two mushroom gardens in my shady backyard, using mycelium purchased from one of the many online mushroom growing companies. The mycelium threaded their way through the wood chips and in September, the mushrooms began to fruit. Initially, I made a spore print to ensure the mushrooms I had grown were not poisonous. That spore print proved fateful. Yes, it was the intended cultivar, however I became fascinated by the quality of the image and saw something beyond the culinary in the spores. I began experimenting with the imagery and my life as a spore print artist was born. Join Madge Evers at an art opening at Roundabout Books, 26 Kenwood Street, Greenfield, Massachusetts on Saturday, March 4, 2017 from 5-7pm. Light refreshments will be served. an independently-owned used bookstore in the Town of Greenfield, in the Pioneer Valley of Western Massachusetts. 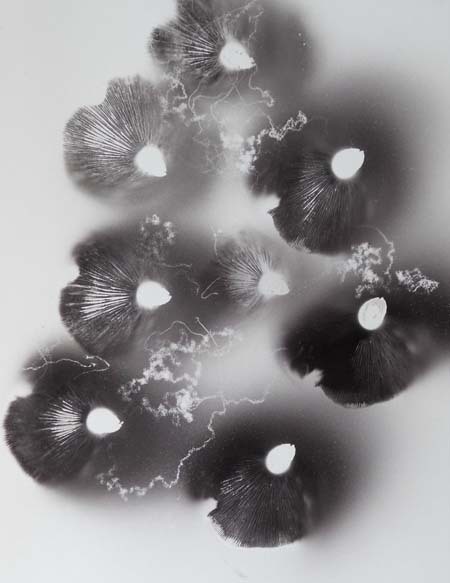 Framed mushroom spore prints in many sizes will be for sale. Madge will donate 20% of all sales to Just Roots, whose ” goal is to increase knowledge about and demand for local food in Franklin County. Image credit: All images courtesy Madge Evers.